Imagine for a moment that there was someone who could teach you how to pass any exam that comes your way. If you could simply master this valuable skill and apply it on demand for any exam that comes your way… now pinch yourself, because this is actually true. 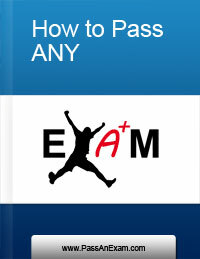 I am willing to share a little known set of principles that will enable you to significantly improve your exam passing skills.